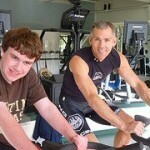 We had a wonderful spring Spinathon on Sunday, March 25th. The skies threatened rain so we held the classes indoors. I am always amazed at how spacious the small Body Image Fitness Center is. We had lots of people, lots of projects and overflowing food tables and there was still room to mingle and chat. We’ll post photos soon. Michael and Christine Lopez were gracious and generous hosts and have invited us back for a fall Spinathon in October – so keep those pedals turning! Autistry just experienced another growth spurt! In the last few weeks we have welcomed 8 new students. And we have a new staff member, Amelia Sandy. 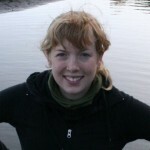 Amelia will graduate from San Francisco State in May with a B.A. in Art and Psychology. She is an accomplished artist, an avid adventurer and, according to our most critical gastronomical critics, she makes a mighty fine grilled cheese sandwich. Job creation for our students is the next crucial step for Autistry Studios. And we are working hard to launch our first Autistry Enterprise – currently called Autistry Railroad Products which will initially produce model structure kits in laser-cut wood and plastic formats. This company will also provide on-demand CNC flat cutting services to order. For small work (thin sheets on the order of 2 x 3 feet) the work will be done by a laser cutter. 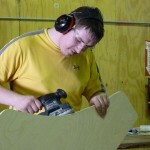 For larger work (up to 2 x 4 x 8 feet) the work will be done by a computer controlled motor tool called a ShopBot. We foresee the creation of a wide range of jobs matching the wide range of abilities of our Autistry students. To support this effort we are seeking about $50,000 for capital equipment and seed expenses. 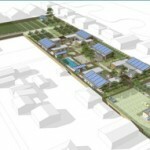 We are also very excited about the upcoming opening of Sweetwater Spectrum in Sonoma, a residential community designed especially for those on the autism spectrum. We are exploring the possibility of opening another Autistry workshop facility in the city of Sonoma to offer our Core Prevocational Workshops and employment opportunities to the Sweetwater community and all eligible families in Sonoma and Napa counties. And, did I mention, that it is Spin Time!? 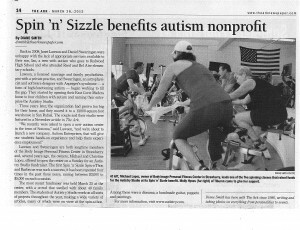 Sunday, March 25th we will have our 4th Spin ‘n Sizzle fundraiser at Body Image Fitness, 23 Reed Boulevard in Mill Valley. Come for an hour of spin, a BBQ and to meet many of the Autistry families. We will have some of the very cool student projects on display. Spin sessions begin at 10am and go to 3pm – the BBQ goes all day. This is always a great event – exercise and lots of food! Click here for more information. Email janet@autistry.com to sign up.